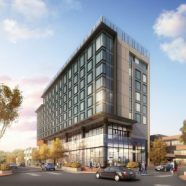 The Hyatt Place Hotel will open in late 2019 at Peña Station NEXT, a master-planned, sustainable, mixed-use community of the future in Denver. 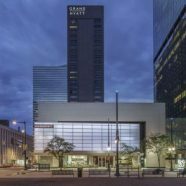 This “smart city” re-imagines traditional community pillars—corporate offices, multi-family residences, healthcare, retail, hotels—as hubs for environmentally progressive, transit-oriented innovation. The 382-acre development will offer 1.5 million sf of commercial space, 500,000 sf of retail and 2,500 residences. It connects the adjacent Denver International Airport to Denver Union Station, and is anchored by the Peña Commuter Rail Line. 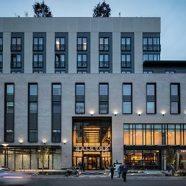 The hotel has been designed to embody Peña Station NEXT’s vision for smart, sustainable, connected living. 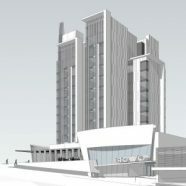 The seven-story, 225-room hotel fronts onto 61st Street, accessible by the light rail station one block away, a planned pedestrian corridor, and new driverless electric shuttles. 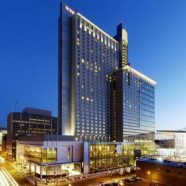 Guests will enjoy an energetic first floor filled with social and professional amenities, including 3,500 sf of meeting space, an independent coffee shop, 24-hour fitness center, indoor pool, gaming area, library and business center. A large bar includes an operable wall that will open to the outside, connecting patrons with the active, tree-lined outdoor design. Further food and drink options include a 24/7 Gallery Menu Market, and Gallery Kitchen serving breakfast daily. 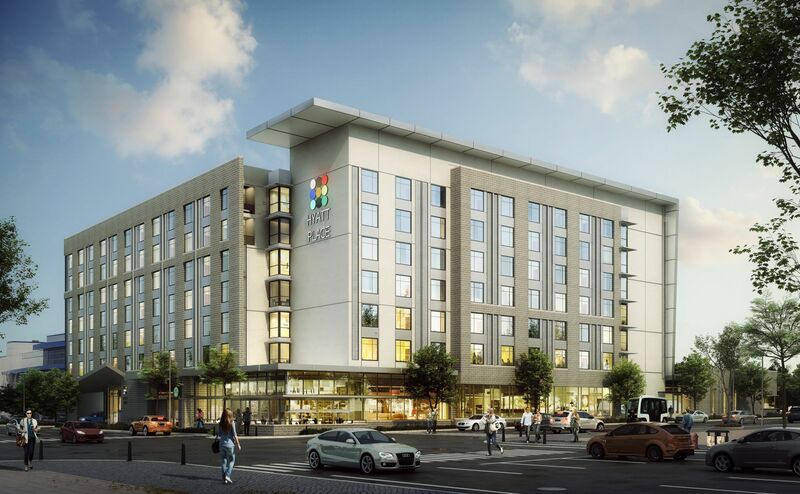 With its inclusion in the forward-thinking Peña Station NEXT smart city, and a comfortably contemporary design befitting the Hyatt Place brand, this new hotel will stand as a unique, sustainable development in a prime location.